There was something eclectic about the Banaras Hindu University. As one crossed the gates, the sprawling campus came in view, representing a microcosm of the entire universe of education. Driving from the Sir Sunderlal hospital to the IIT and dairy farms at the end of the university, one would simply marvel at the genius of the man who founded it – Pandit Madan Mohan Malviya. But the recent episode alleged sexual harassment followed by girl students' protests, subsequent use of force against them and its brazen justification by vice-chancellor Girish Chandra Tripathi confirm the fear that there is something deeply rotten in the BHU. It has been rotting there for decades and has only now exposed itself in the most virulent form. 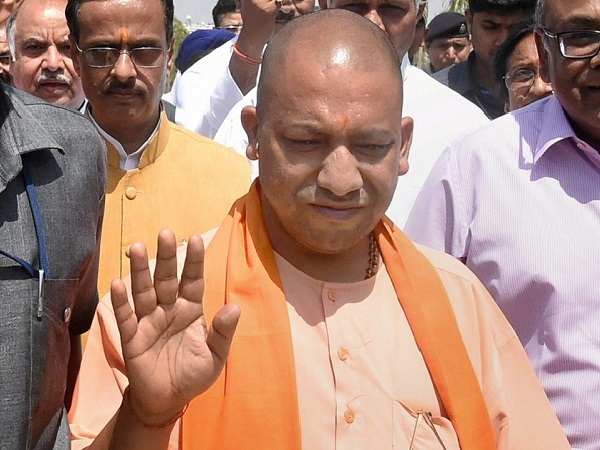 Yogi Adityanath said the recent incidents in the Banaras Hindu University smacked of a "conspiracy" as prima facie reports suggest the role of anti-social elements. He told reporters that those involved in spreading anarchy on the campus will not be spared at any cost. 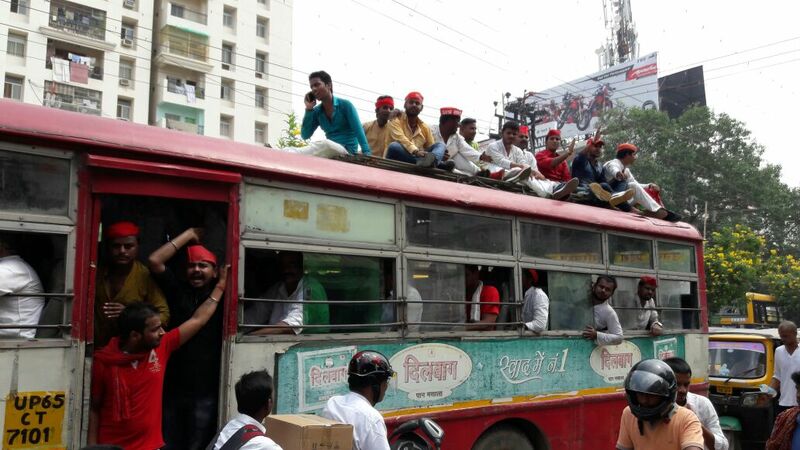 Samajwadi Party workers raised slogans against Prime Minister Narendra Modi and over 200 party workers were detained while they were going to meet the injured students. 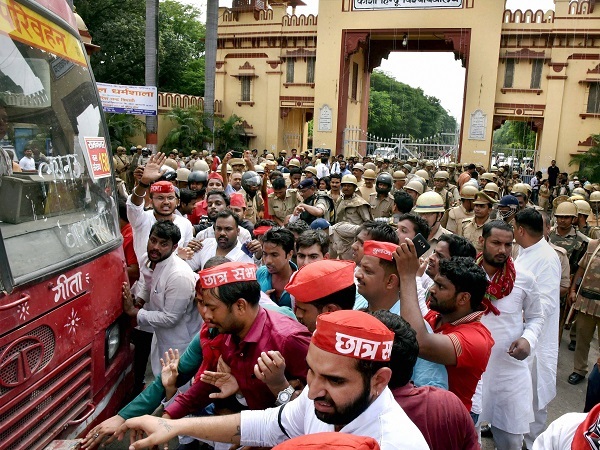 Samajwadi Party's state spokesperson Manoj Rai Dhoopchandi said a special committee comprising senior party leaders was heading to BHU to meet the injured students. Each of the 18 hostels run for women at the university has a separate curfew. Some hostels close at 6:00 pm, others which are more lax stay, open till 8 pm. Visitors staying late are required to fill in paperwork and students who stay out late have to deal with authorities ringing up their parents. These measures are ostensibly in place to ensure that women are safe on campus. But safety measures cannot take away their right to access education on the same footing as men. After all, a university's aim is to educate. Uttar Pradesh government spokesperson Srikant Sharma accused the Opposition parties of trying to vitiate the academic atmosphere. "If they wish to do politics, they should do it with us and not with students. They should keep away from holding agitations in campuses," he said. V-C Tripathi ordered an inquiry into the incident and nominated retired Allahabad High Court judge to probe the incident. Earlier, Chief Minister Yogi Adityanath had also ordered a judicial probe. While talking to Hindustan Times, a girl student oh BHU said, "the violence has pained us and its scars will stay on our minds forever. What is more painful is that action is yet to be taken against the accused involved in sexual harassment of the BHU student." The National Human Rights Commission (NHRC) has issued notice to the Uttar Pradesh government and the BHU vice-chancellor over alleged inaction on "complaints of eve-teasing" on the campus, and the police action against the students, who were protesting over the issue. Amid massive outrage against the varsity administration, many images of injured students were shared on social media users. However, a fake image too found it's way into the news stream. An image showing a young woman badly injured was shared by several people including Prashant Bhushan, Sanjay Singh, Ashok Gehlot, Mrinal Pandey and Swati Chaturvedi, to name a few. However, as AltNews pointed out, the image was from a different time and location which was being used out of context. 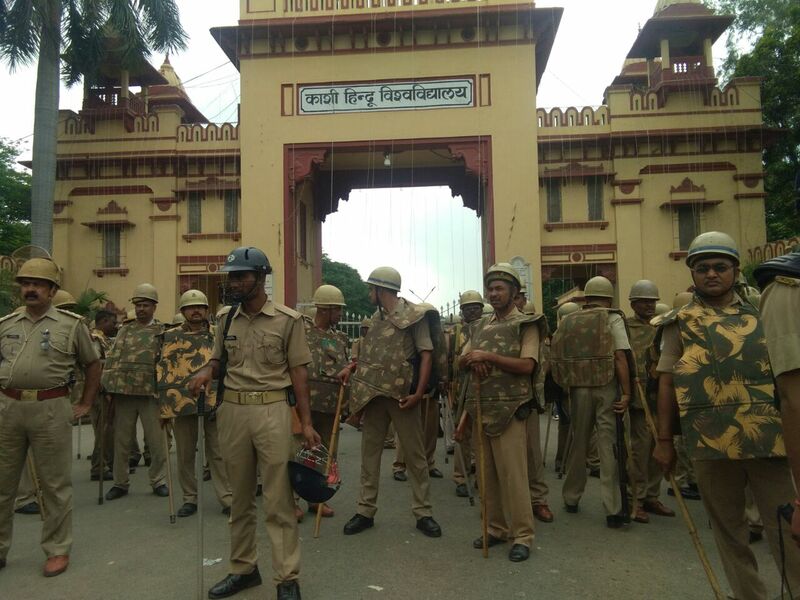 An FIR has been registered against over 1,000 students in connection with the violence in the Banaras Hindu University here and also against policemen involved in the baton-charge on protestors. Seperate FIRs have been registered at the Lanka Police Station in connection with the violence on the campus, the police said on Monday. Besides the students, an FIR has been filed against unidentified policemen involved in the baton-charge. The Congress today hit out at the BJP government in Uttar Pradesh over a lathi-charge on women students of the Banaras Hindu University (BHU) and demanded the immediate sacking of the vice chancellor and a judicial probe by a sitting High Court judge into the incident. Describing the VC as "incorrigible" and "insensitive", Congress leader Manish Tewari asked Modi if such a person could head an institute of academic excellence like the BHU. Varansi District Magistrate has called few students of MA first year to meet him. The students claimed they have some evidence against the brutality of police in women's hostel. The Vice-Chancellor of BHU GC Tripathi spoke to The Times of India about the incident. The V-C told the newspaper that the timing of the stir raises some suspicion. He said that protesting students wanted to talk to him at the university gate just when the prime minister's cavalcade was to pass from the area. "The protestors demanded talks with me at the main gate before PM Narendra Modi's cavalcade was to pass. Had I visited there at that time, the protesters could have created unruly scene. The protestors became further active after the change in route of the PM's cavalcade," he said. 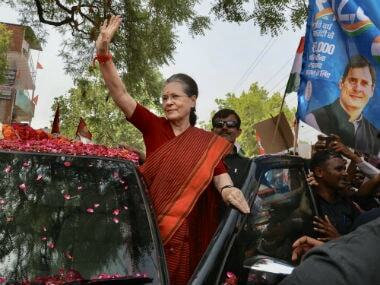 Congress party questioned Prime Minister Narendra Modi's silence on the BHU incident, asking that as the local MP, shouldn't the prime minister at least comment on the incident. Congress spokesperson, Manish Tewari said that Modi was quite vocal on twitter over a range of issues, then why hasn't he commented on the brutal action against female students in his Lok Sabha constituency. The warden of BHU women's hostel, apparently told the victims of molestation to "forget about the incident" claiming it's no big deal, according to Hindustan. 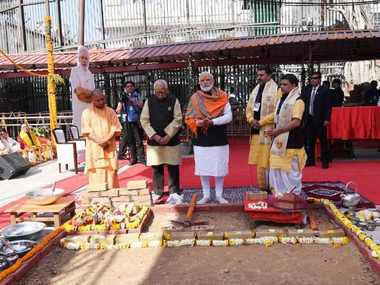 On the sidelines of BJP's national executive meet, Prime Minister Narendra Modi and BJP national president Amit Shah spoke to UP CM Yogi Adityanath about the violence in BHU campus. Modi sought update from the chief minister over the issue. Congress leader Raj Babbar, who had gone to meet the students at the violence-hit BHU campus was detained by the Varanasi Police. 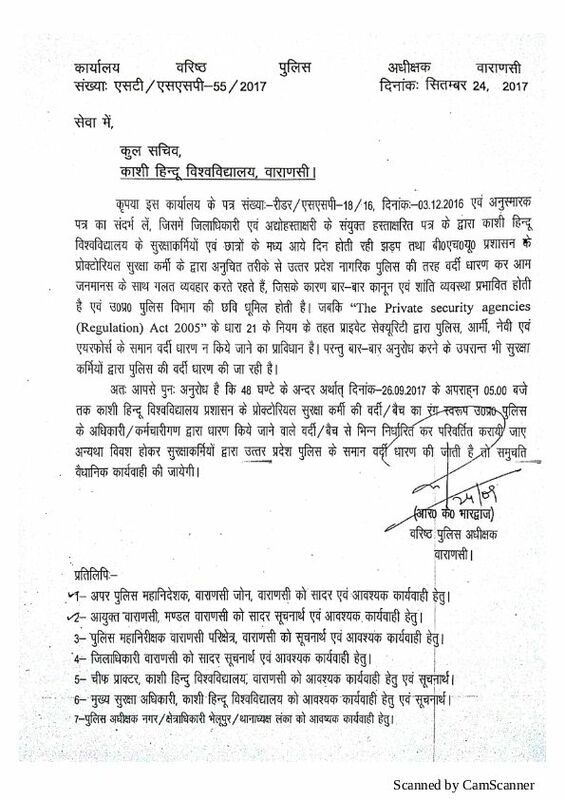 Varanasi SSP has written a letter to the BHU administration ordering them to change the dress of BHU security officials, which is similar to the dress of Uttar Pradesh police, within 24 hours. According to The Times of India, Banaras Hindu University's Vice-Chancellor GC Tripathi said that he takes responsibility for the "untoward incidents" on the campus. However, he blamed external elements, apart from 150-200 varsity students for fanning the violence. He also rubbished claims that he was trying to impose RSS agenda in the university. Activist Teesta Setalvad was prevented by the district administration from visiting the volatile BHU-campus. She was taken to the police lines station while she was enroute BHU campus from the airport. Varanasi administration has announced that due to the violence on campus, all degree colleges adn universities in the city will remain closed until 2 October. Delhi University students led by the Congress student wing, NSUI, on Monday held protests in the capital to condemn police action against some female students who were demonstrating against alleged molestation on the Banaras Hindu University (BHU) campus in Varanasi. The Delhi students critcised Prime Minister Narendra Modi and Uttar Pradesh Chief Minister Yogi Adityanath for failing to protect female students on the BHU campus after police baton-charged them and fired in the air on Saturday night. Uttar Pradesh Governor Ram Nayak has set up a four-member committee to probe the BHU incident. The committee will be headed by the UP Chief Secretary and will probe the alleged excesses committed by the police and also allegations that external elements fanned up the protests. 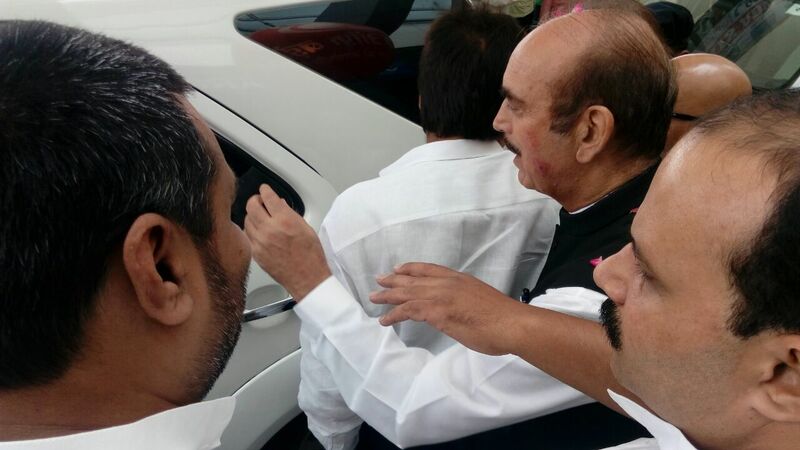 Congress leaders Ghulam Nabi Azad and Raj Babbar, who were arrested by the police on Sunday, are expected to hold the press conference later in the day, reports 101 Reporters. Former UP chief minister Mulayam Singh Yadav said in Lucknow that girls are not safe in BHU, and the state government failed in providing security to the girls. 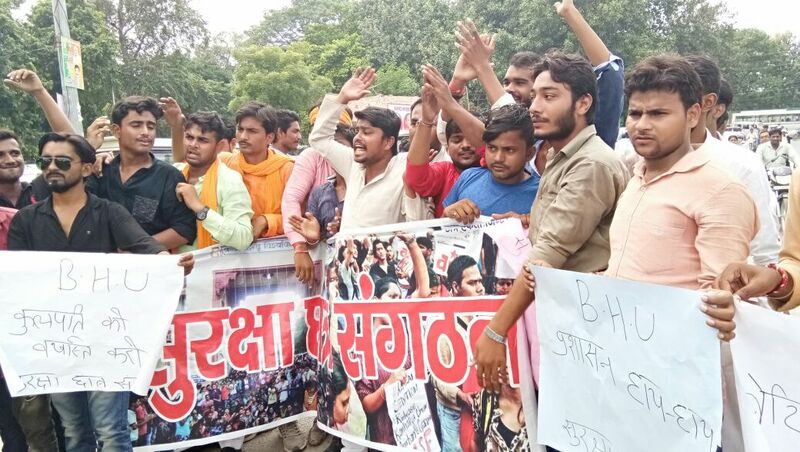 The students of BHU staged an agitation in the national capital and termed the protest on the night of 23 September as an outburst after years of their sufferings going unheard. The students accused the police of abruptly indulging in baton charge without making any announcements. A high-level official report noted that proper and timely communication with prptesting girl students by the BHU administration could have prevented the problem from escalating, The Times of India reported. The official asked to investigate the matter said that university authorities did not deal sensitively with the complaint of the girl who was molested. #BHU admin nominates retired #Allahabad HC Judge Justice #VKDixit to probe into recent series of incidents during students’ agitation. 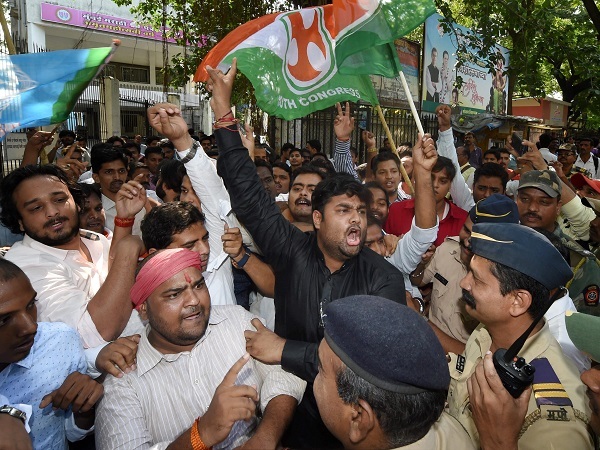 The Youth Congress members staged a protest against the police action on students of BHU. "Where on one hand the BJP government spent crores of rupees on Beti Bachao Beti Padhao and on the other, reality on ground level is completely opposite. 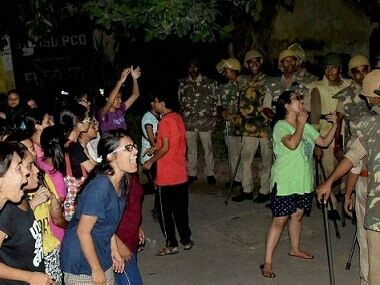 Last night in BHU, female students were attacked by armed police forces. They pushed them, shoved them around and attacked them with sticks. The students had head and body injuries," the Youth Congress said in a statement. Now BJP leaders are saying BHU girls protest is like naxalite thing. How sick one can be ? Typical of their ideology ? Not surprised !! How many eve teasers in BHU r arrested or detained?How many FIRs registered ag such male students?It is sick.FIRs registered ag 1200 girls. Protest by CYSS RJ Students against BHU Incident in Jaipur Today. 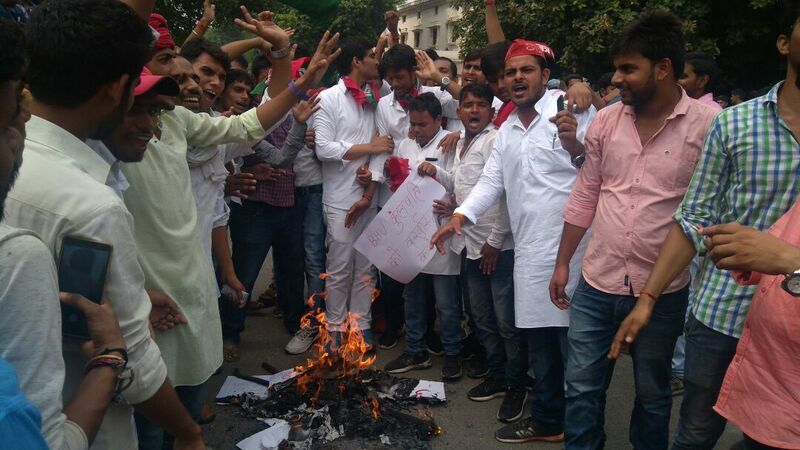 Leaders of the Samajwadi party who were attempting to stage a protest march outside a BHU gate have been detained by the police at Lanka Police Station. Students at Allahabad University also join the protests. A few members of Samajwadi Chatrasabha are also present, 101 Reporters reports. 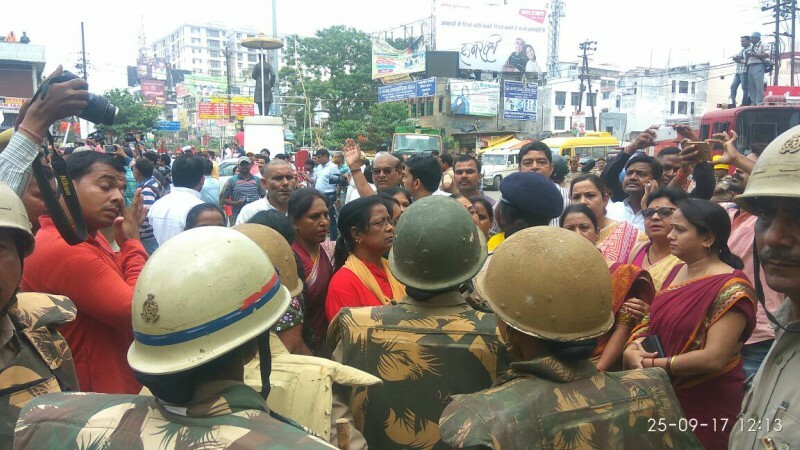 Earlier on Monday, the Uttar Pradesh government removed three additional city magistrates and two policemen in connection with the baton-charge on students during the protest in BHU. The Congress on Tuesday demanded thorough inquiry by into the lathi-charge on women students of Banaras Hindu University in an all-party parliamentary panel. Uttar Pradesh Congress president Raj Babbar also hit out at Prime Minister Narendra Modi for not meeting the protesting women students of BHU, who were beaten up by the police. He said the women students were like the prime minister's daughters and that Modi failed in his duties towards them. "There should be a credible probe by a team of MPs from all parties who should visit BHU and give a report to the Central government as the university comes under its purview," he told reporters. 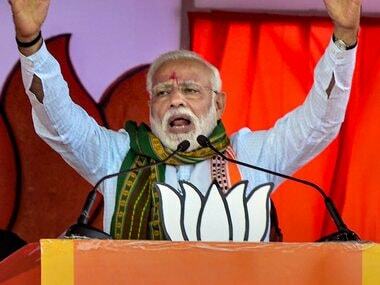 "Our prime minister was in Varanasi when the student were staging a dharna and he should have come ... at least walked up to them as they were like his daughters. Perhaps he does not know how to fulfill the duties of a father," he said. Babbar alleged that there was a "definite pattern" in the violence at BHU. He said the BHU lathicharge was not an ordinary incident and such cases were witnessed in Hyderabad and JNU as well. 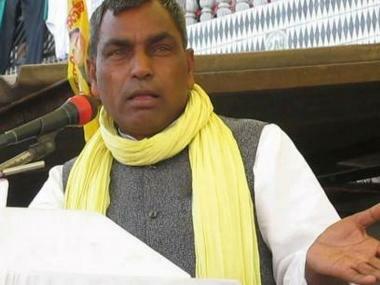 The Congress leader said the women students were beaten up on Daughters' Day on 14 September. A number of students, including women, and two journalists were injured in the police action in BHU where protest on Saturday night against an alleged eve-teasing incident turned violent. The violence erupted after some students, protesting the incident on Thursday, wanted to meet the varsity's vice chancellor at his residence.